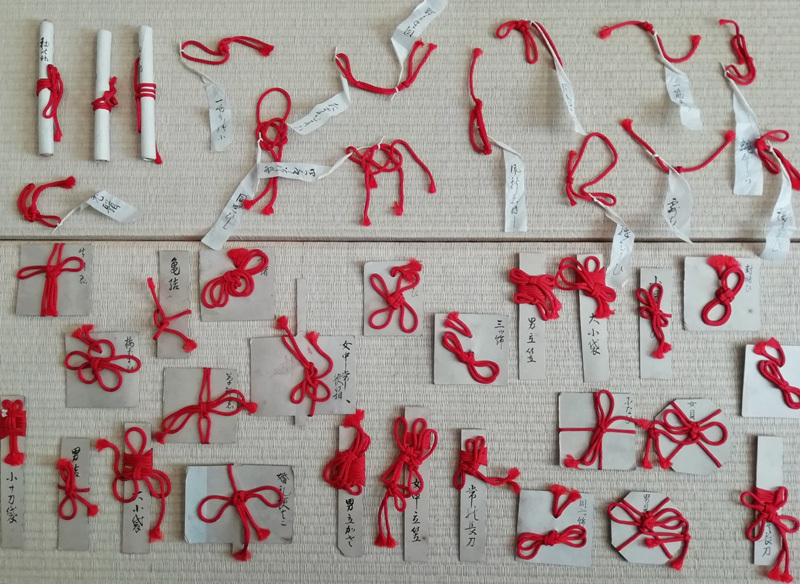 SAMPLES OF KUMIHIMO BRAIDING (Dealer: titcoRet) – The legacies of Japanese traditional craft of ‘kumihimo’ (braided cords) samples for the right way of braiding for the right scene and occasion (for the different types of Buddhist altar fittings, scrolls, etc., and for the different types of ceremonies like tea, wedding, etc.). Showa period, 20th century. Aged damage and deterioration as is. approx. 5-6cm (1.96-2.36in) each.